Bess Turner (she, her, hers) is a senior from Chattanooga, Tennessee. She studies English, anthropology and environmental studies. Bess has previously served as a Copy Editor and currently holds a position as Sports Editor. 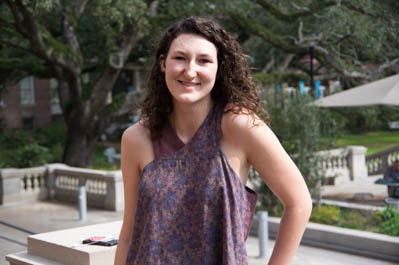 On campus, Bess is a member of Alpha Delta Pi and the Sustainability Committee. She is also an intern at the Middle American Research Institute and works for the Goldman Center.